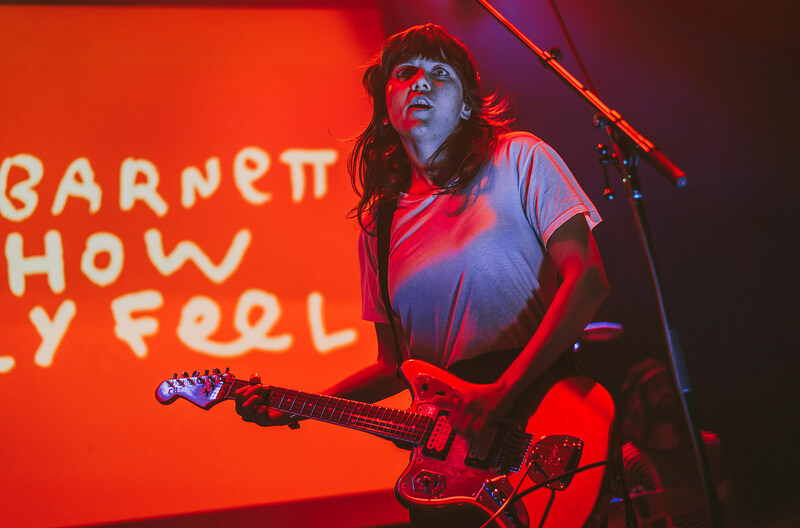 Courtney Barnett is releasing a 12″ single for Record Store Day this Saturday (4/13) with the new song “Everybody Here Hates You” backed by last year’s Tell Me How You Really Feel outtake “Small Talk.” “Everybody Here Hates You” has now premiered on Triple J, and Courtney tells host Richard Kingsmill that the title is a reference to Jeff Buckley’s “Everybody Here Wants You,” and that the song is about “…when you think a haircut will help you, or a clean meal will cleanse you, ya know, as if all these things will make you feel better, but really nothing is gonna to fix you. So you kind of have to tell everyone that it’s all okay so they don’t worry. But it’s also tongue in cheek.” It’s a slow-burner, and Courtney’s trademark style and wit are fully intact. Listen HERE around the 21:15 mark. This one was written around the time as Tell Me How You Really Feel but not finished until after its release. The song is expected to get an official digital release on Tuesday (4/9). UPDATE: The official stream is out now and you can listen below. Courtney is also touring with The National, including BRIC Celebrate Brooklyn! Festival shows at Prospect Park on June 12 (sold out) and June 13 (tickets). She’s also playing Woodstock 50, Bonnaroo, and more. All dates here.